Trusted Mulching Service for Over 19 Years. 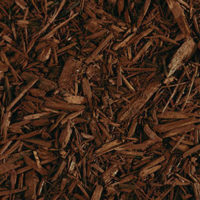 Below are just some of the blow mulch applications we provide. Feel free to contact us regarding your next mulching project. Advanced Mulch, Inc. was established in 1999 as a means of providing the most efficient and cost-effective means of applying any organic material by utilizing its innovative blower trucks. We have been very fortunate to have developed a large and diversified commercial customer base to include Cities, Municipalities, Government Agencies, Property Management Companies, Land Developers, Landscape Architects, Landscape Companies, as well as Home Owner Associations, Condo Associations, Apartment Communities, School playgrounds & parks offering our ASTM Certified Playground Mulch as well as complete golf course blow mulch installation with our Golf Course blower truck. Located in Palm Beach County Florida, Advanced Mulch specializes in commercial blow mulch applications of a variety mulches and soils from Certified Playground Mulch to color enhanced Mulch providing lasting aesthetics to your property; as well as specialty soil blends and erosion control services. We are “The Blow Mulch Installation Professionals”! Give us a call for a free estimate, we would love to talk blow mulch with you! A proven leader in the mulch and soil installation industry, we work very hard to maintain an exceptional team to provide our customers with the very best mulch and soil application possible! Our dedicated staff is equipped with unparalleled knowledge and outstanding customer service. We realize that every client is unique and every situation is different; therefore, we are here to assist you in making the most sensible decision for your property needs while saving you time & money. We strongly feel that experience is the key to quality job performance and our level of experience in the blow on mulch industry surpasses all others in Florida. Give us a call and find out how Advanced Mulch can streamline your mulch and soil installation. At the end of the day, it is about saving time and money. Precisely why blow on mulch is leading the pack, it’s faster and more affordable than manual mulch application. No need to worry about an abundance of crews on property and disposal of bags, pallets and additional equipment to move the product from point A to point B. Our exceptional customer service will guide you effortlessly through each step, from understanding your expectations to estimating your property and providing recommendations, to the finished product. We are here every step of the way. It’s not just about getting the job, it’s about building relationships. 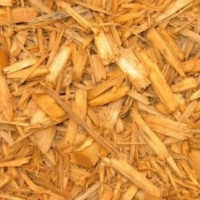 Blow on mulch outshines any other form of mulch application. When mulch is applied via the blower trucks, the results are amazing, emanating an even application finished to perfection. Like icing on a cake! Our scheduling department is unbeatable! We work very hard to accommodate our clients and often times find ourselves doing the “mulch shuffle” to assist a client under pressure to complete their install. Employee & public safety is a key function; you can rest assured that Advanced Mulch is fully licensed and insured and all employees have completed safety training & continue training through periodic Safety Meetings. 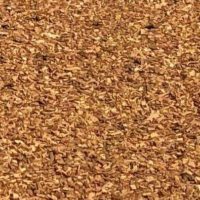 Benefits to Using Blow Mulch? 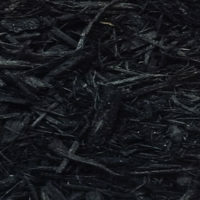 What Types of Mulch Do We Use? 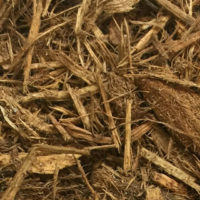 Our color enhanced mulches are manufactured from recycled hardwood trees except for the Gold Mulch which is manufactured from clean pine wood and clean pallet wood; this type of wood is essential for the vibrant gold color. 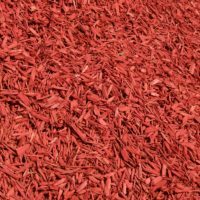 To retain the rich and vibrant colors, these mulches are enhanced with an iron oxide colorant which is non-toxic. 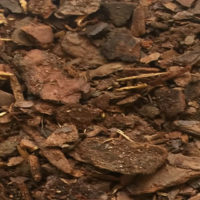 We also offer “Eco-Friendly” mulches, Eco-Mulch & Melaleuca Mulch, for those clients seeking an alternative to the color enhanced mulches and prefer a natural product. 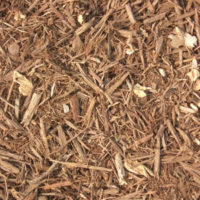 The “Eco-Friendly” mulches are manufactured simply from tree wood and make an excellent replacement for Cypress Mulch. Harvesting of Cypress Trees depletes the Cypress wetlands and is a controversial product; therefore, choosing an alternative is a benefit to the environment. Our mulches are free of sand, seeds and dirt.